This video of the traditional Christmas Carol, “The First Noel” contains the music and on-screen lyrics. It is perfect for school assembly or in the classroom for the pupils to sing along to. This video, from the Super Simple Learning website, is great for teaching the words of Jingle Bells to younger pupils. It follows a “teach-it, learn-it” format and the tempo is much slower than the original song to make it easier for pupils to learn. 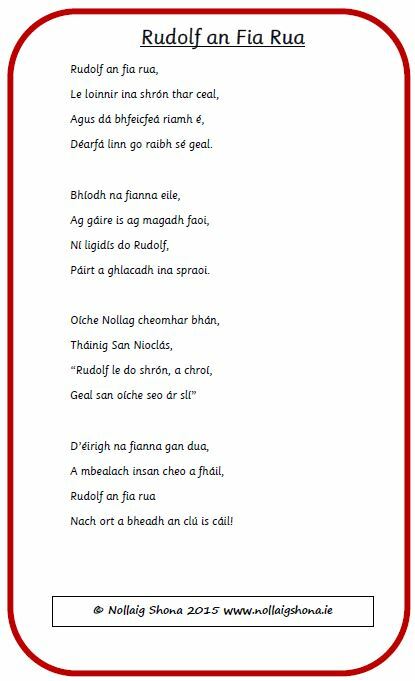 This is a great rendition of the classic Christmas song “Fairytale of New York” translated into Gaeilge by TG Lurgan. 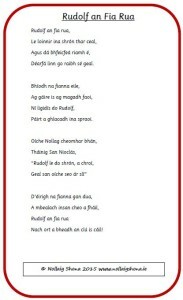 It is taken from “EP na Nollag” which is a free download of three Christmas songs as Gaeilge. Watch this video of the Four Seasons Violin concerto no. 4 in F minor “Winter” by Antonio Vivaldi. It would be great to be shown for a music appreciation class at this time of the year. Watch this video of Tchaikovsky’s beautiful music set to Christmas imagery. Michael Tilson Thomas conducts the London Philharmonia Orchestra. 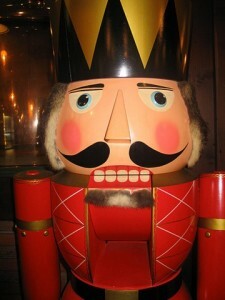 Watch this YouTube video from the classic Nutcracker Suite by Tchaikovsky. These resources, from the New York City Ballet, are a great way of introducing pupils to the seasonal music of Tchaikovsky. There’s an interactive book telling the story of “The Nutcracker” by George Balanchine; information on the history of the book; some ideas for curriculum integration; a sample lesson plan.